I started carving a new design a couple of days ago. It was influenced by a weed I spotted whilst walking Daisy. I don't think the weed actually looked like this.This design is more a manipulation of my imagination. 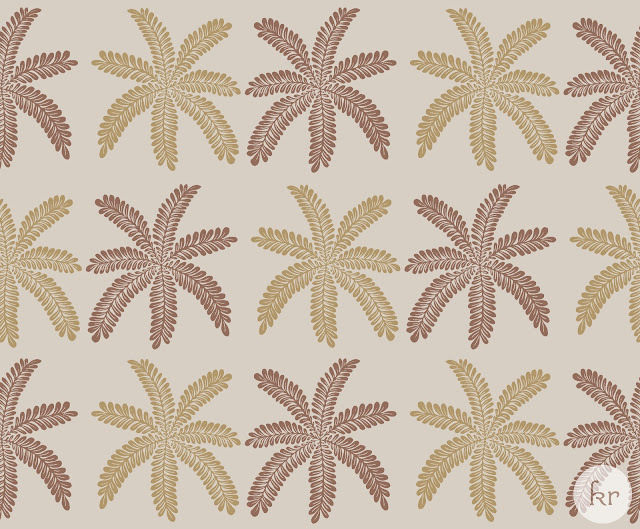 I printed it on a natural linen cushion cover and also digitally repeated the design. I'm still working on the repeats but this is what I've done for now. Hi Kiran, I think the designs are quite interesting. Love the cushions. Just curious to know what material do you use to carve upon? Thanks. I'm really inspired by your work. Will keep checking your blog for new stuff, it's all fabulous. I had only seen block printing in sarees but you've created a new use out of it. Keep up the good work! Love the style and feel of your work, Kiran. The books and the lampshades are especially interesting. I was trying to find the A3 green pvc type of lino cutting material here in Australia, but can't yet find it. You mentioned Singapore would you possibly have an internet address for it? I was hoping to use it for making coloured blocks for my woodcuts. 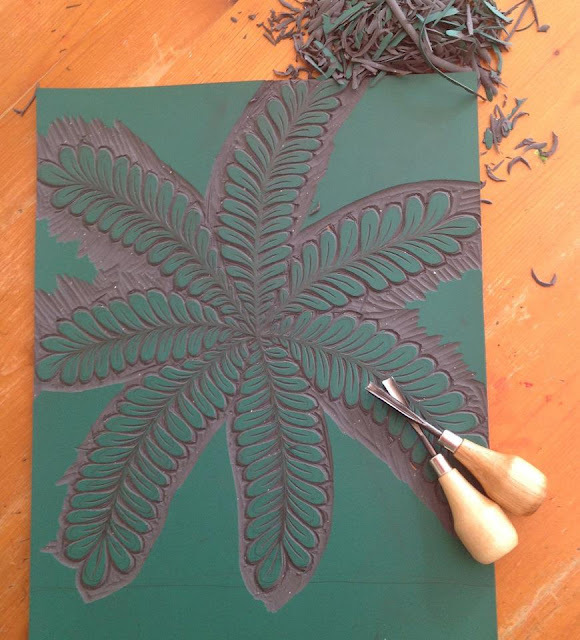 The pvc lino is really hard to get. Try googling Japanese lino online. I think there are online shops in Oz selling it. I get mine from Singapore but the shop doesn't have a website and they don't ship internationally. My mum gets it for me (as she lives there) and brings them along with her when she visits me each year.